Native to northern Africa (i.e. Algeria, Libya, Morocco and Tunisia), southern Europe (i.e. Spain, France, Italy, Albania, Greece, Yugoslavia and southern Ukraine) and western Asia. 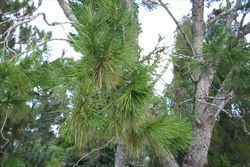 Aleppo pine (Pinus halepensis) has been widely cultivated as a street and forestry tree in the temperate regions of Australia. This species has become widely naturalised in southern Australia. It is most common and widespread in South Australia, but scattered populations have also been found in Victoria, south-western Western Australia and in southern New South Wales. Possibly also naturalised in the ACT. Naturalised overseas in southern Africa, New Zealand and south-western USA (i.e. California). 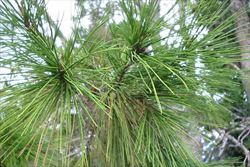 Primarily a weed of drier temperate regions that invades open woodlands, forests, grasslands, roadsides, disturbed sites and waste areas. 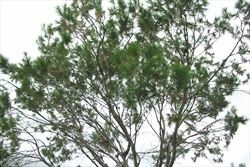 A large evergreen tree growing 5-50 m tall. 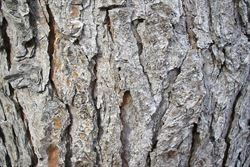 a large evergreen tree with a trunk that develops a thick, greyish-black coloured, narrowly furrowed bark. its need-like leaves (4-12 cm long) are arranged in groups of two with their bases enclosed in a short sheath. separate male and female cones are produced on the same plant. 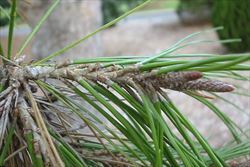 the elongated male cones are small, yellowish or brown, and borne in dense clusters. 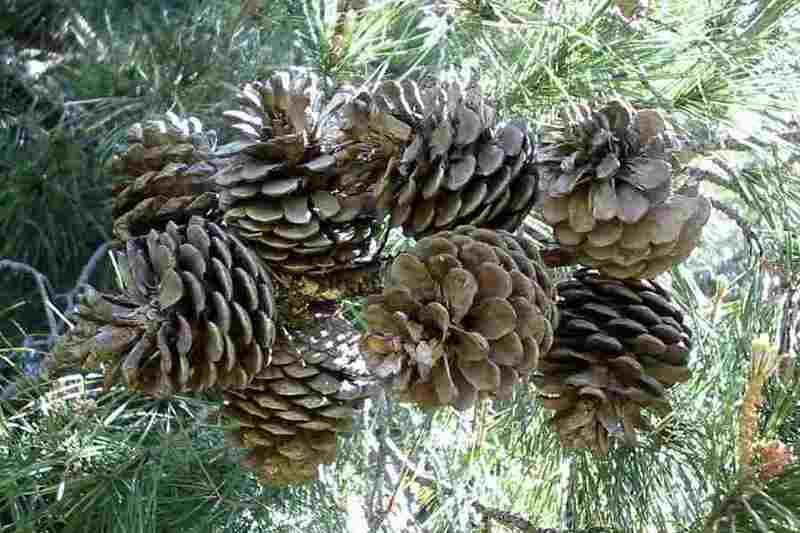 the asymmetrical female cones are larger (6-14 cm long) and borne on thick curved stalks 1-3 cm long. 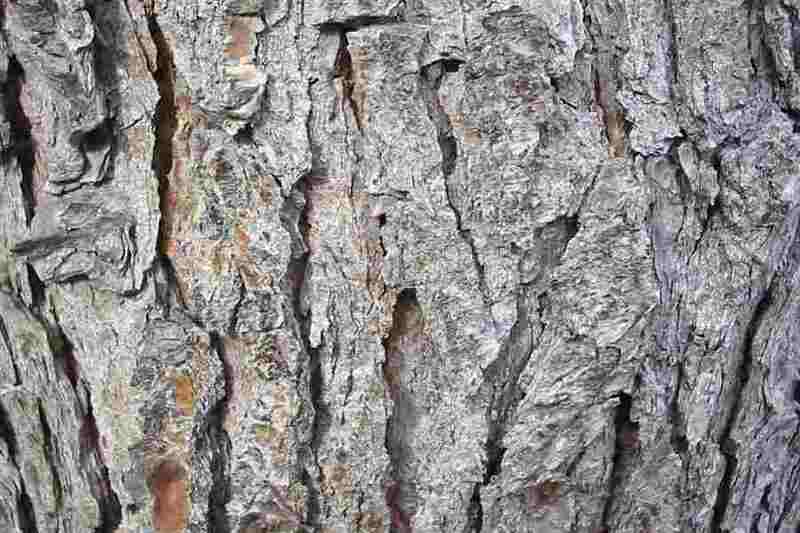 Young branches are often silvery-grey in colour but the older trunks develop a rough, greyish-black coloured bark that is narrowly furrowed. The leaves are very thin (i.e. 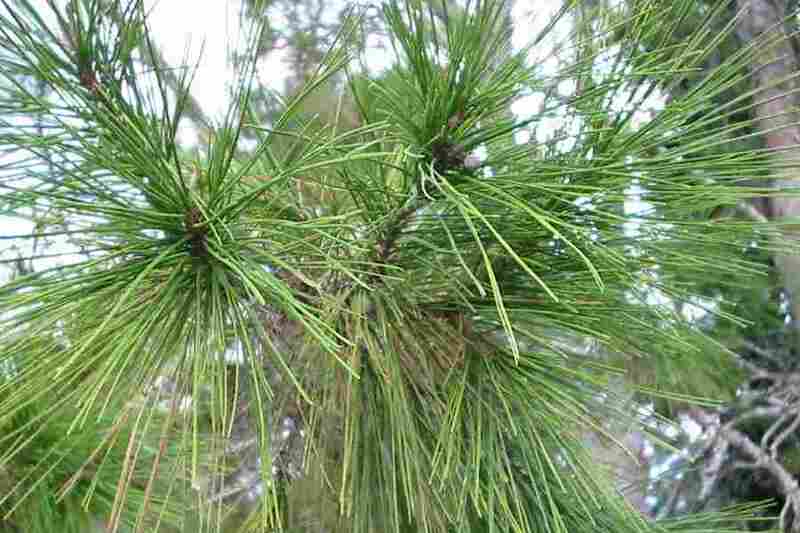 linear) and needle-like in appearance. They are light green in colour, hairless (i.e. glabrous), glossy and sometimes slightly twisted. These leaves (4-12 cm long) are arranged in groups of two and their bases are enclosed in a light brown or greyish-coloured sheath. When the leaves are shed, they fall in complete units still attached within the sheaths. 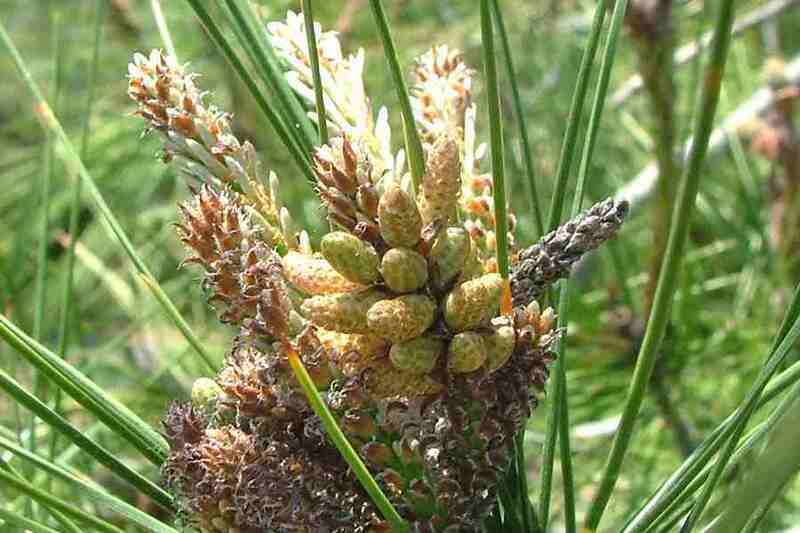 This species does not produce true flowers, but instead it produces separate male and female cones on the same plant. 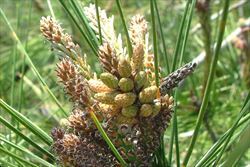 The elongated male cones are relatively small, yellowish or brown in colour, short-lived, and borne in dense clusters. 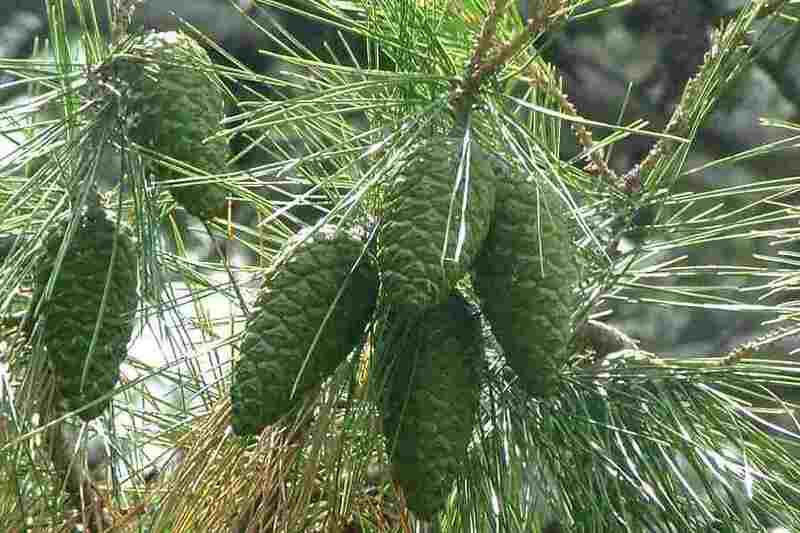 The easily recognisable female cones are large and either cone-shaped (i.e. conical) or oval (i.e. elliptic). 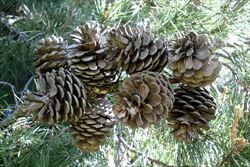 These female cones (6-14 cm long) are often paired, or occasionally arranged in small clusters, and are borne on thick curved stalks 1-3 cm long. The female cones are long-lived, maturing over two or three years, and are made up of many scales that each bear two winged seeds. This species reproduces only by seed, which are primarily dispersed by wind and birds. 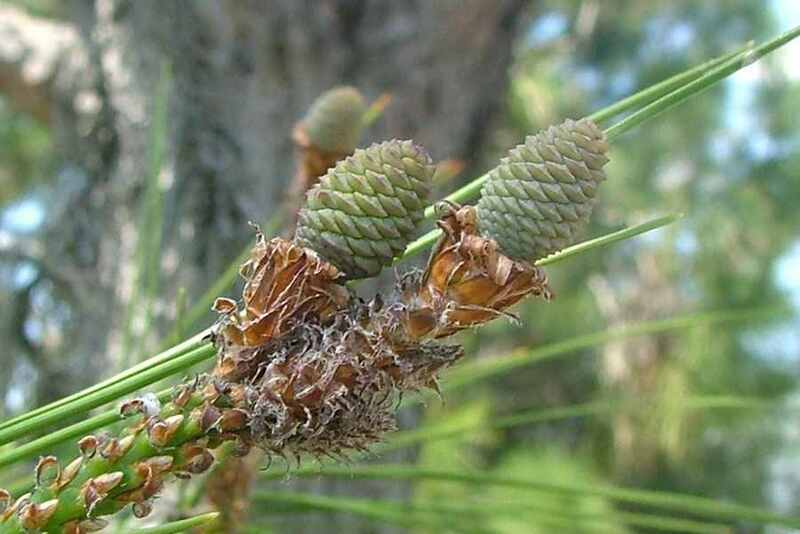 Aleppo pine (Pinus halepensis) is regarded as an environmental weed in South Australia and Western Australia, and as a potential environmental weed or "sleeper weed" in other parts of southern Australia. It is actively managed by community groups in South Australia and was recently listed as a priority environmental weed in four Natural Resource Management regions. South Australia: 5*(i) - this species is declared under Class 5, a designation for non-agricultural weeds. Its presence must be notified and the plant must be controlled (in the Mitcham and Southern Eyre local authority areas only). This declaration excludes Aleppo pine (i.e. 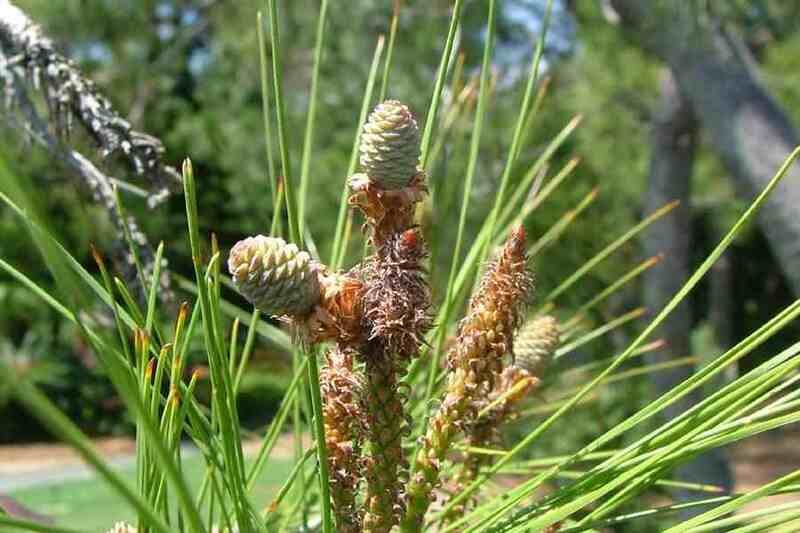 Pinus halepensis) trees planted and maintained for domestic or commercial use. 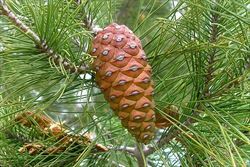 Aleppo pine (Pinus halepensis) has relatively small symmetrical cones (5-14 cm long) that are borne on curved stalks 10-30 mm long. Its leaves are relatively short (4-12 cm long) and usually borne in groups of two. 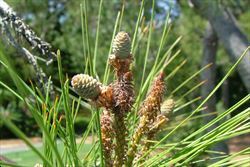 cluster pine (Pinus pinaster) has relatively large slightly symmetrical or asymmetrical cones (9-20 cm long) that are almost stalkless (i.e. sessile). Its leaves are relatively long (10-30 cm long) and usually borne in groups of two. slash pine (Pinus elliottii) has relatively large symmetrical cones (7-20 cm long) that are borne on short stalks. Its leaves are relatively long (15-30 cm long) and borne in groups of two or three (usually in twos). 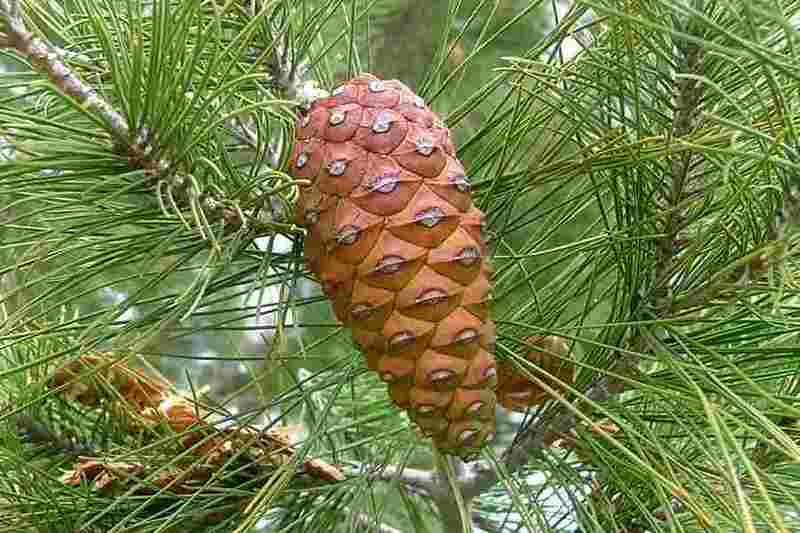 radiata pine (Pinus radiata) has relatively large asymmetrical cones (7-17 cm long) that are borne on short curved stalks. Its leaves are relatively short (8-15 cm long) and usually borne in groups of three (rarely in twos). Caribbean pine (Pinus caribaea) has relatively small symmetrical cones (5-12 cm long) that are borne on short stalks. 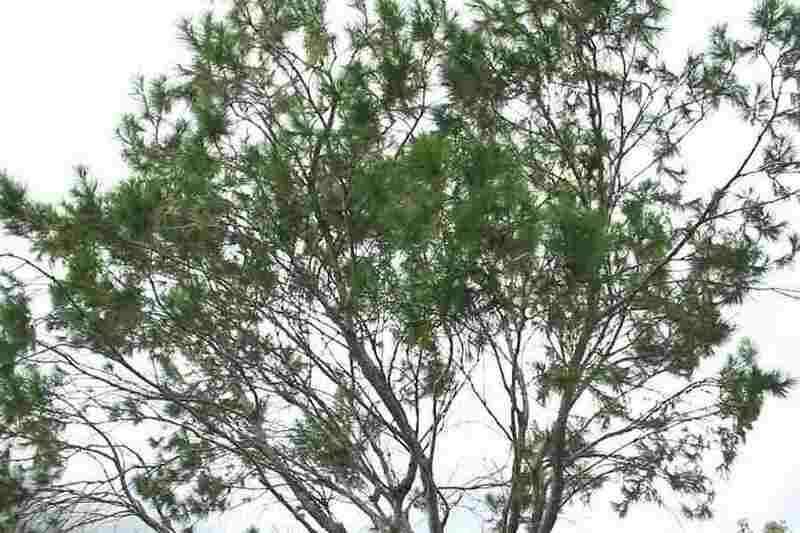 Its leaves are relatively long (15-30 cm long) and usually borne in groups of three (rarely in twos, fours or fives).